Our mission at TrampolineSafety.com is to help every parent buy the safest trampoline they can afford at the lowest real price–the price you pay divided by the number of years it will safely protect your kids. At JumpSport, we are dedicated to providing you lasting safety and performance. And that’s why we offer you this website, TrampolineSafety.com, so you can see what we consider important for your children’s safety when choosing a trampoline, and how we test our own products using real-world bouncers, to give you peace of mind. This site is designed to help you make a smart buying decision on what will likely become the most loved and the longest owned piece of equipment you’ll ever give to your kids. If your kids are like ours, they’ll continue to enjoy jumping on a trampoline into their college years and beyond, so it makes sense to be a wise shopper. Just like a car needs new tires and brakes to perform safely, trampolines need annual checkups. You’d be concerned if the brakes and tires only had a 90-day warranty. Those are big safety items for cars, just like safety enclosures and springs are for a trampoline. That’s why we test our own products so rigorously and why wanted to see how other, typical trampolines on the market today hold up. Beware of low quality we when a product broke or bent during our testing, we viewed the quality as very low. 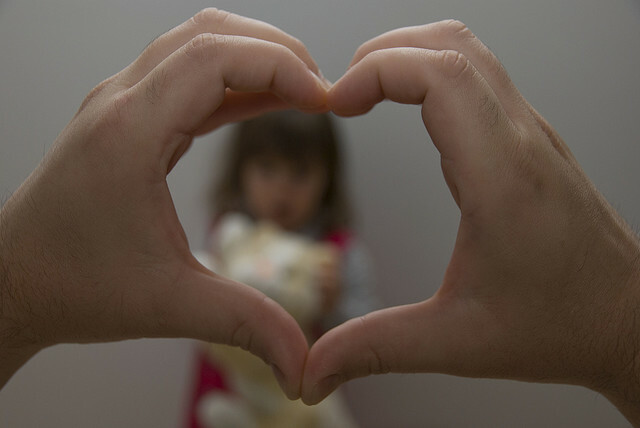 As parents, we know that your family’s safety is a high priority. Our goal is to become the best place for parents to find straight-forward testing, clear analysis, and transparent ratings on all the major trampoline brands. We collect 42 pieces of data for each trampoline we test. We realize most people want to know what the data means, not search through all the numbers, so we display summary data, while still providing you the ability to see the details, if you’d like. The data we collect is mostly objective (meaning it’s a physical measurement); there is, however, some data that is subjective (like how the bounce feels). Some of this subjective data is included when we calculate the final ratings, but is lightly weighted so as not to skew the results. 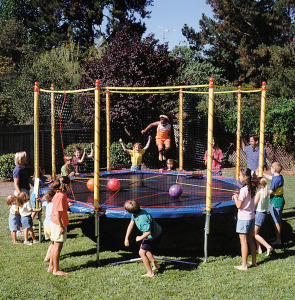 This website was first created by the inventor of the trampoline safety net or fence, Mark Publicover. In 1996, after several fall-off incidents occurred on their backyard trampoline, Mark started tinkering and building trampoline enclosures to protect his three energetic kids and their friends, but quickly realized that most other parents would also want this protection. So, in 1997, he and his wife, Valerie, founded JumpSport. The first trampoline safety enclosure. JumpSport’s trampoline safety net, which Mark and his colleagues designed to fit on any trampoline, quickly gained popularity and by 1998 it was selling in many major retailers, including Costco and Wal-Mart. Today, JumpSport’s safety trampoline design has become the worldwide standard and has protected 100’s of millions of kids from falling off, colliding with each other, and hitting the frame. From 2001 to 2006, Mark successfully sued several large manufacturers and retailers for selling copycat products that were unsafe and poorly engineered. However, because there were so many unsafe copycats flooding the market, in 2007 he decided to create TrampolineSafety.com to raise consumer awareness and to push manufacturers into making safer trampoline and enclosure systems. As Mark stated recently, “There’s just no reason for mass producers to sell unsafe trampolines that break during the first impact tests or that quickly fall apart and become unsafe during the first season of use. With more trampoline safety inventions and related patents than anyone else in history, Mark is widely acknowledged as being responsible for creating the trampoline safety category of products. So, it’s no surprise that he is a passionate advocate for the many health, fitness, and learning benefits kids gain from playing on trampolines and, of course, he feels just as passionately about protecting kids from manufacturers that misuse his inventions by making and selling unsafe, poorly engineered copycat “safety” trampolines that cause 10’s of thousands of needless injuries to kids every year. With this in mind, Trampolinesafety.com is dedicated to providing educational information and being transparent about its testing data. We hope you benefit from our 19 years of experience inventing and designing safer trampolines and the equipment to test them.